Disco Brunch is back! 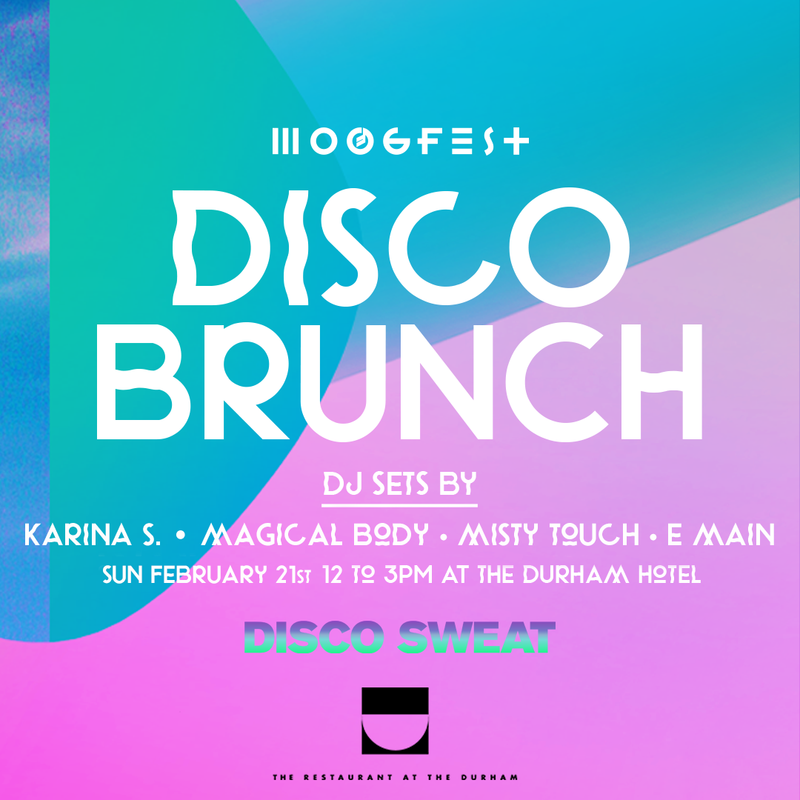 For our second installment of Moogfest Disco Brunch, we’re proud to partner with Chapel Hill based dance party Disco Sweat. Featuring DJs: Karina S., Magical Body, Misty Touch, and E Main. Dining reservations are strongly encouraged due to limited seating, but there’s plenty of space to grab a drink at the bar and boogie in the lounge or on the terrace. For brunch reservations call the Durham directly: 919.768.8831. We will be serving Tropical Punch Bowls for the table; check out the menu here. A limited quantity of $99 Moogfest Student Tickets will be available for purchase in-person with a valid Student I.D. We’re very excited to announce that Disco Brunch will continue the 3rd Sunday of every month thru May! Dates are as follows: March 20, April 17, May 22. Sign-up for the Moogfest Mailing List at moogfest.com to be among the first to know about upcoming events and promotions.